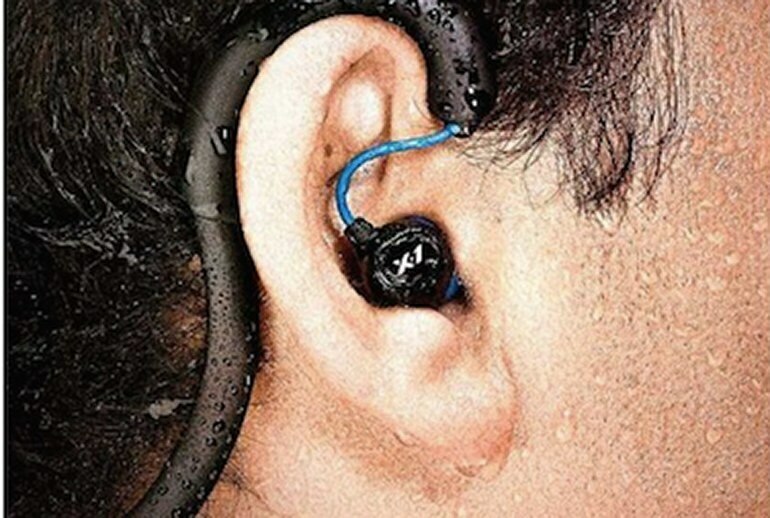 The headphones are completely waterproof, and the unit can be worn up to a depth of 12 feet. 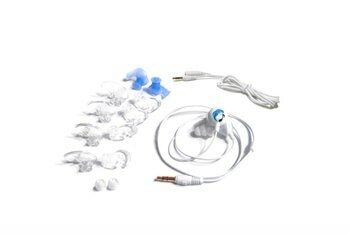 The Sportwrap maintains a solid seal for swimmers thanks to multiple ear tip sizes, and the sound quality is acceptable. Tangles are kept to a minimum with the neckband and coiled cable design. The company's headband is one-size-fits-all, and you won't find flexibility there. Wearers with large heads may feel some pinching or clamping pressure from the neckband. Where the cord meets the neckband, it can weaken or be damaged by rough handling. Whether you like to swim, paddle, run, or bike, you're going to need buds that can stay put and withstand tons of moisture. 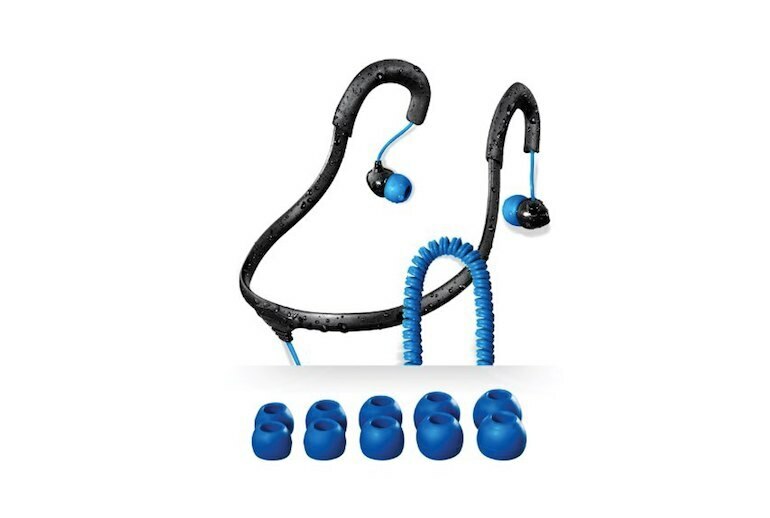 The around-the-neck Surge Sportwrap headphones from H2O Audio come with five sets of rubber earplugs, so chances are good you’ll find a secure fit. You won’t find any dangling or flopping cords here; a coiled cable is attached to the neckband. 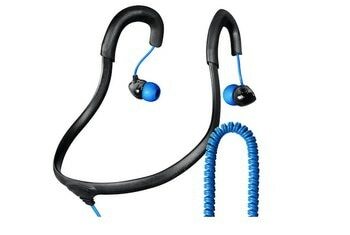 Rubber-covered arms wrap around your ears, and the earbuds hang at the right length to insert into your ear canals. 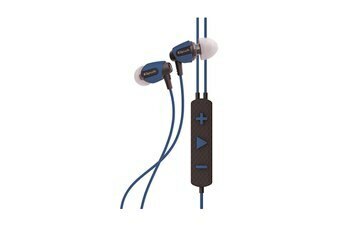 The Sportwrap uses waterproof 8 mm neodymium drivers, which results in a warm sound and a dynamic bass--and they isolate ambient noise to boot. After heavy-duty perspiration, you can rinse the Sportwrap. 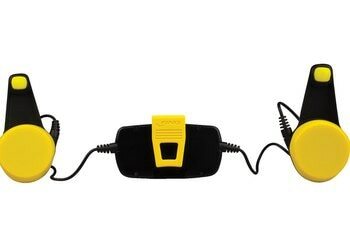 Sportwrap’s primary issue is that the headband is a one-size-fits-all design without much give...While the rubber arms soften the feel of the plastic handband, users with larger heads will feel the clamping Sportwrap uses to stay in place. 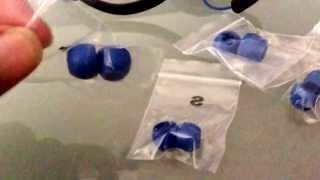 I have smaller ear canals so getting a water proof fit is a bit painful. The sound is pretty exceptional when I am finally able to get [the headphones] placed just right. [T]he entire collection features 100% waterproof and sweatproof durability to withstand heavy perspiration, rinsing after active use, and submersion under water up to 12 ft. 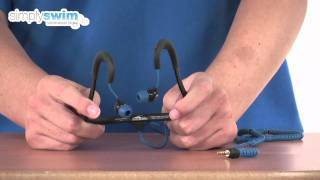 I found the Surge Sportwrap waterproof headphones...uncomfortable and difficult to position properly. 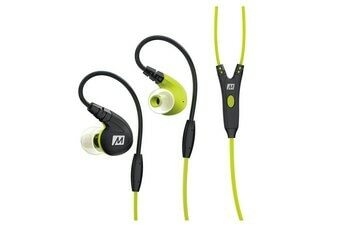 These sporty headphones are super stable thanks to their behind-the-neck fit, while the in-ear design means bass sounds great.